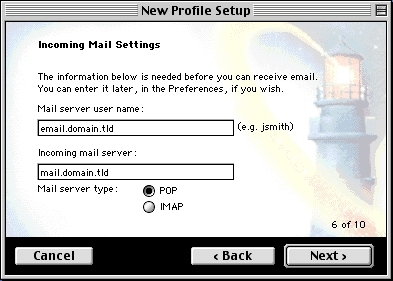 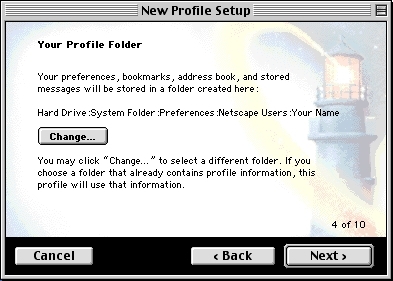 The 'New Profile Setup' wizard will appear. 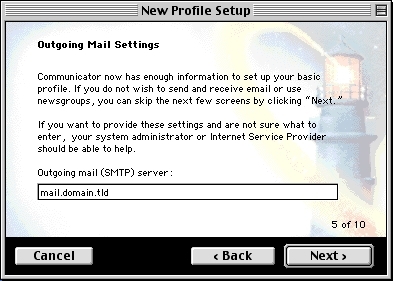 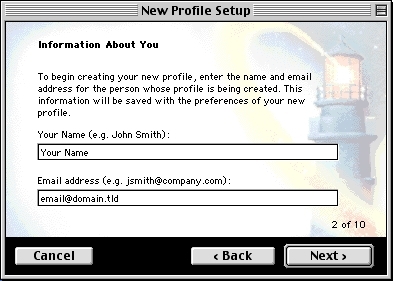 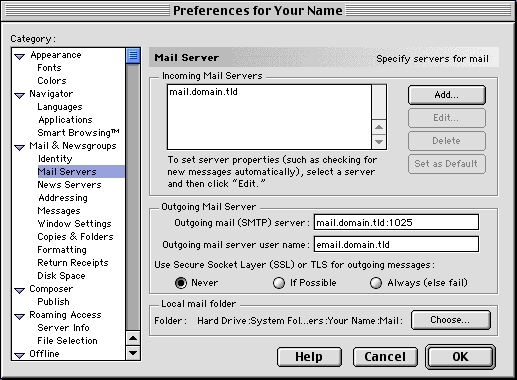 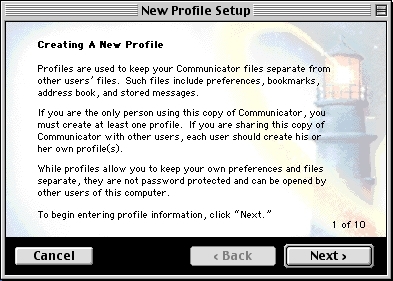 This will show you the path to your Netscape Communicator Profile if you ever needed it. 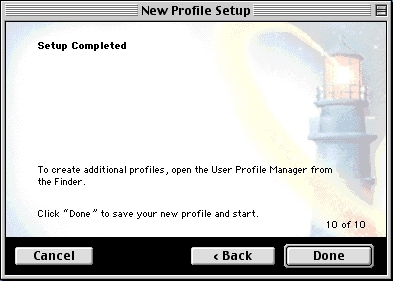 You can click 'Next' to continue. 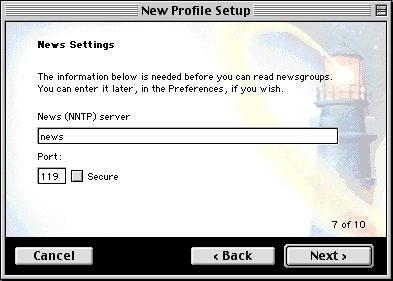 This is a section that we do not support, so just click 'Next'. 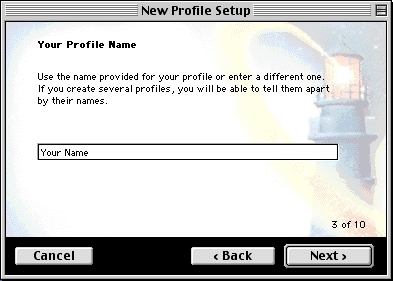 This is a personal preference but the default settings should suffice. 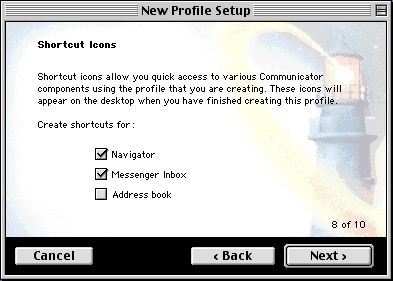 Choose which options you want, and click 'Next'. 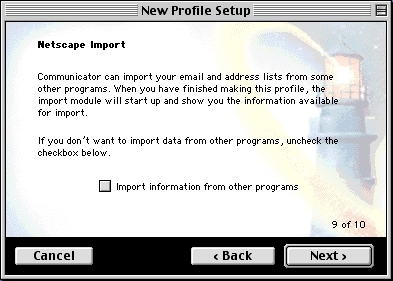 Leave the box 'Import information from other programs' unchecked and click 'Next'.